"Where the Spirit Lives" – Exhibition on the occasion of the 100th anniversary of abstract paintings" opened at the Pifo gallery in the Beijing 798 art district on July 24. The month-long show features the works of 13 outstanding Chinese abstract painters and reflects their ideas on the future of Chinese abstract painting. Abstract painting began with Wassily Kandinsky's spontaneous abstract works and writings published in The Blue Rider Almanac and the treatise On the Spiritual in Art nearly 100 years ago. Though abstract art arrived in China in the 1920s, it has begun to develop seriously only in the last 20 years. This Pifo exhibition is both a celebration of the 100th birthday of abstract painting and a reflection on the future of Chinese abstract art. The gallery plans to make it an annual event and it has been well received by artists. Jiang Dahai was born in 1949 and moved to Paris to learn fine arts in 1986. He stayed in France for 20 years and changed his style from traditional realistic painting to abstract painting. Jiang told China.org.cn that, in the process of exploring art, he discovered an abstract spirit in landscape painting, closely linked with the human soul and thinking, similar to artistic conceptions in traditional Chinese painting. He found that abstract painting could draw a pure and individual spirit out of reality and was more powerful than realistic art forms. He is currently trying to work out a method of connecting traditional Chinese painting with modernism. 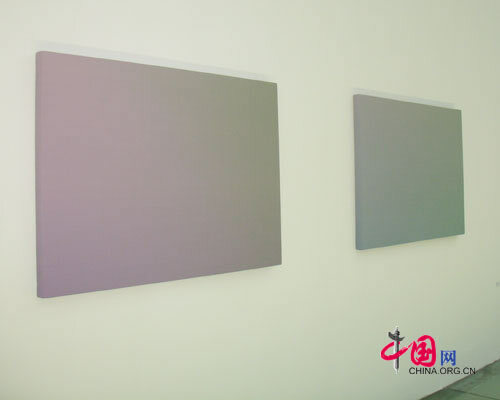 Though abstract art originated in the West, it was heavily influenced by Chinese culture and art, Jiang said. He thinks Chinese abstract painting has greater freedom and spontaneity than western abstract art, which is closely related to geometry and religion. Jiang's work "Vision" shows his transition from geometrical patterns to a Chinese landscape painting style and expresses his reflections on the harmonious relationship of man and nature. Huang Jia's oil paintings create a strong three-dimensional effect when looked at from a distance. Huang told China.org.cn that her pieces take her about half a year to complete and the circular shapes reflect her temperament and her reflections on traditional Chinese culture. When the reporter asked whether she used real plates as models, Huang said all the shapes came from her imagination. Though the way she paints is more realistic than abstract, the object itself is "illusory." Her works grab people's attention and make them think and ask questions. Huang Jia was a portrait painter at the beginning of 1990s. Her bald-headed women painted in bold colors caused a stir in Chinese art circles at the time. As time passed, she found her passions calmed so she simplified her work, changing from complicated portraits to simple white circular patterns. Her plan is to create purer and yet more exquisite paintings in preparation for a solo show this December. Zhang Xuerui is a young artist, born in 1979, now living in Beijing. Her exhibits consist of hundreds of grids of gradated colors. She said she was inspired by a philosopher's words: "the only thing that does not change is change itself." "I was so exited when I read this and could not wait to express my understanding of our changing life in a rationalist manner," said Zhang. The difference in color between the grids is tiny. It represents subtle relationships in life between sense and sensibility, accuracy and vagueness. The works took her three years to complete. 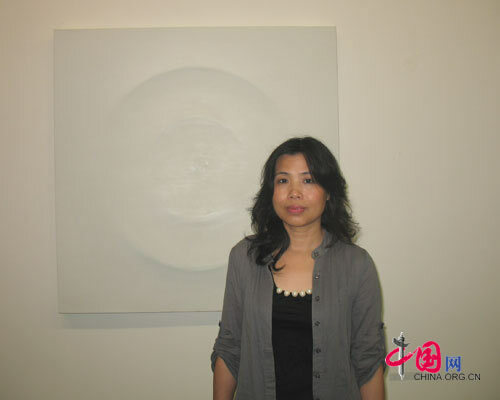 Many of the exhibiting artists agree that Chinese abstract painting is different from its western counterpart. The differences in history and culture are so great that it is not fair to compare the two. The artists have an optimistic vision for the future of the still young and immature tradition of Chinese abstract painting. 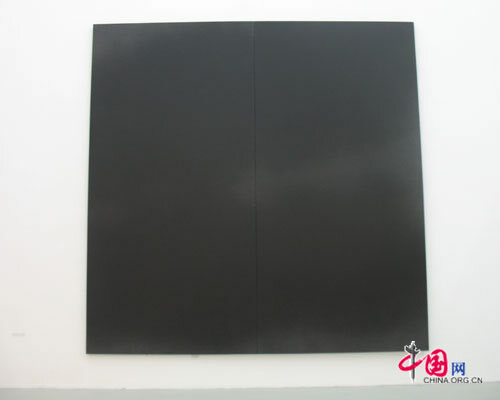 Jiang Dahai said abstract art should be defined as "classical" rather than "popular" because it embodies philosophical and intellectual meditations. Scholars have begun to recognize its importance and curators are holding more and more abstract art exhibitions. Another renowned abstract artist, Liang Quan, used a metaphor. He said the trees in the tropical South grow into peculiar shapes very rapidly while the trees in the cold North grow slowly but strong and straight. He hopes Chinese abstract art will grow as vigorously as the trees in the North. The lives and struggles of two Americans in Modern China.